Welcome to the Wolf Den’s first blog post. The store opened in 1967 (gasp – almost 50 years ago) and our website was launched in 2002. It seems time that we properly introduce ourselves! In 1965, the Muckenheim family opened a shop on highway 69, a few hours north of Toronto, Canada. 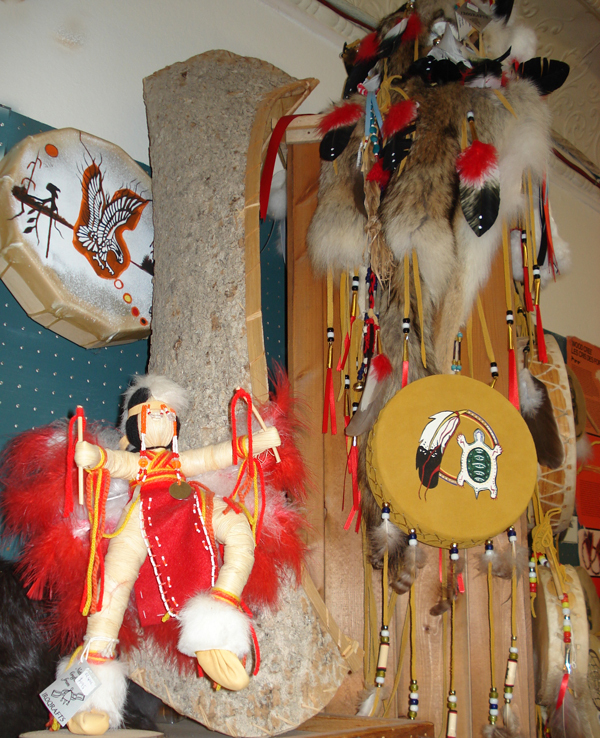 The shop, The Bear Den, featured moccasins, carvings, some souvenirs and a reptile display that became a popular tourist attraction. A couple of years later, they opened The Wolf Den, in downtown Parry Sound. The little town, on the shore of Georgian Bay, was a popular cottage and resort area and the store gained a loyal following. We are starting to see the third generation of customers. People who came in as kids are now bringing their grandchildren in! It’s heartwarming to hear people talk of the first pair of moccasins they ever had, or about the soapstone carvings they made from the scraps that we still sell. Fast forward to 2016….we’re in our second generation now. My in-laws are sadly gone but the shop is still going strong and I haven’t really changed a thing! We still have a ‘trading post’ style atmosphere, but now we offer our unique selection online. We’ve been doing the online thing for so long, however, that it was time to redo the website. I hope you like the changes and find it even easier to use than the original version. Take some time and browse our great selection of moccasins, dream catchers, Mohawk and Inuit carvings, Ojibway porcupine quill baskets and more, and let us know what you think. How do your moccasins fit? I take a 7.5 in a shoe. Should I order a size up or down. In most cases, we recommend going down. They run a bit large and will stretch. If you have a wide foot, go up. Hope this helps. Thanks for your kind note. I’m happy that it worked out.